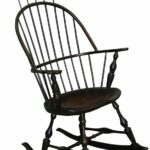 Colonial House offers a number of reproduction Windsor chair styles from several manufacturers. 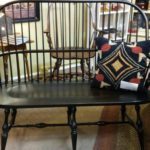 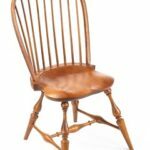 Windsor chairs hand-crafted by Benners’ uses the same techniques utilized 200 years ago, each chair is carefully handcrafted and beautifully finished. 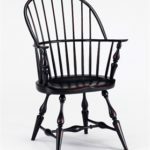 Today, Windsor chairs are typically made of several woods: pine may be used for the seat; ash, hickory, or oak for bent pieces; and maple for legs and spindles. 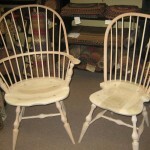 These woods are chosen for their specific qualities, which add strength in each location of the chair. 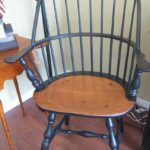 All the Windsor chairs are available with a comb. 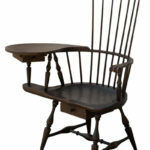 Rocker and Settees are also available. 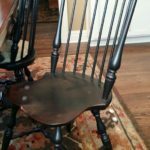 These chairs are heirloom-quality with a museum finish. 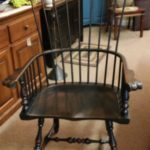 Call for information or pictures of a specific chair.